The stunning Rose & Lily Deluxe bouquet has a modern twist on the classic everyone loves. The mix of Pink Rhodes Roses, Belle Roses, Pink Lily, Gypsophila, Palm and Bear Grass creates a beautiful arrangement that would be perfect for birthdays, anniversaries, congratulations or any other occasion. 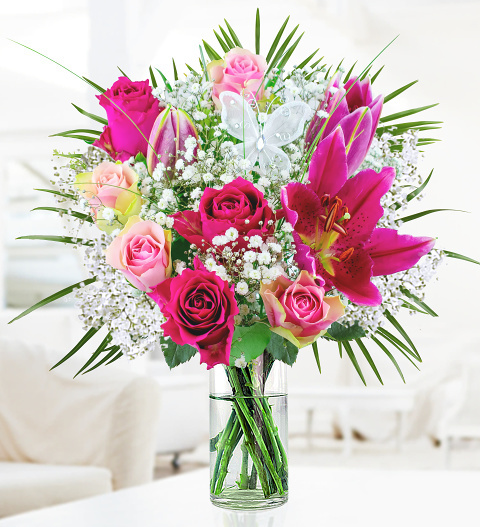 Note: The Lilies may arrive in bud for extra freshness and to ensure longevity.